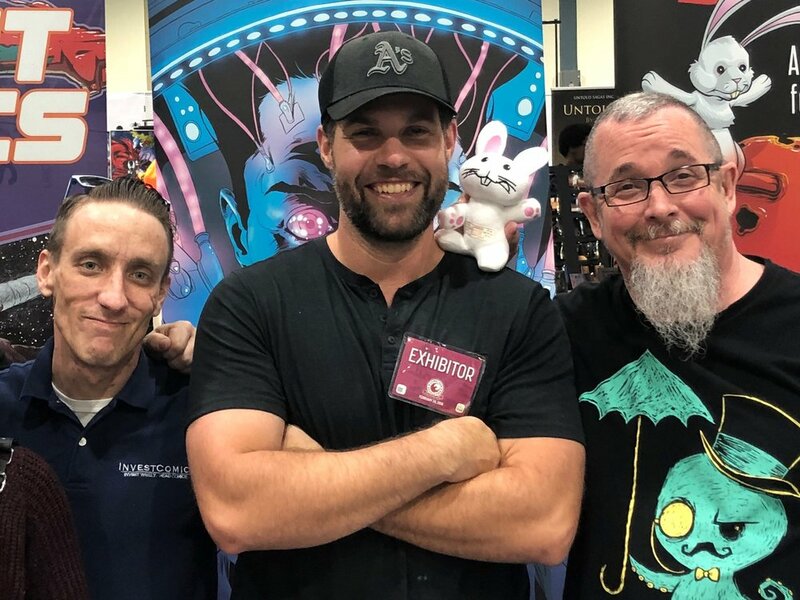 In addition to being Scout's CEO, Brendan is also the author of Marvel's 'Night Night Groot,' the editor of the New York Times-bestselling WALKING DEAD novels and has film/TV projects with Brad Pitt's Plan B, Dwayne "The Rock" Johnson, Charlize Theron and others. He is the former development/production executive for Scott Rudin and Bob & Harvey Weinstein. James brings extensive industry experience stretching over two decades. He began his career as one of the co-creators of the Eisner Award-nominated anthology series NEGATIVE BURN before becoming the Managing Editor/Associate Publisher of Caliber Comics. During his time there, he was instrumental in propelling Caliber to its height as a top ten comic publisher. In addition to editing hundreds of titles from Caliber, Image, Avatar, Tusk and others , James also created and/or wrote the comic series THE APPARITION, BLACK MIST, BOOK OF ANGELS, NEW WORLDS ANTHOLOGY, and CALIBER CORE, as well as co-scripting the fan-favorite KAOS MOON series and penning an issue of X-MEN UNLIMITED with Mike Deodato for Marvel. Following Caliber, James served as Editor for Tusk and has continued to work in the financial securities field for the past 14 years. Tennessee Edwards, an Executive Producer and TV veteran with 15 years of experience. After getting his start in Hollywood as an intern at New Line Pictures, on Lord of the Rings, he transitioned into docu-reality TV where he has produced shows for FOX, SPIKE, MTV, FYI, A&E, and many other networks. Tennessee also works with branded content, TV/ Film development and social media. James Haick III, is the writer/creator of SOLAR FLARE, THE MALL, & LONG LIVE PRO WRESTLING. He heads Scout’s marketing division, web store and new headquarters in Fort Myers, Florida. He has years of sales experience and continues to manage his own financial services practice in Bonita Springs, FL.